The BHcare Clothing Bank provides clothing, linens, footwear and personal care items to anyone in need for a nominal yearly fee. The Clothing Bank is located in the Patricia C. Andriole Volunteer Services Center, 30 Harrison Avenue in Branford. 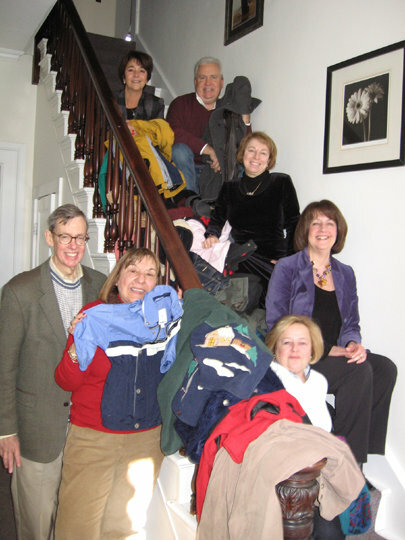 We are happy to pick up your donations, call (203) 483-2643 to make an appointment. Donate seasonally appropriate clothing, coats and jackets, shoes, boots, socks, gloves, hats, mittens, scarves, personal care items, blankets, towels, linens and toiletries. Items should be clean and in good condition. Donations may be dropped off at any time during our normal operating hours, or call (203) 483-2643 to schedule a convenient pick-up time. Volunteer your time, encourage your group, business, or organization to adopt the clothing bank as a community service project.